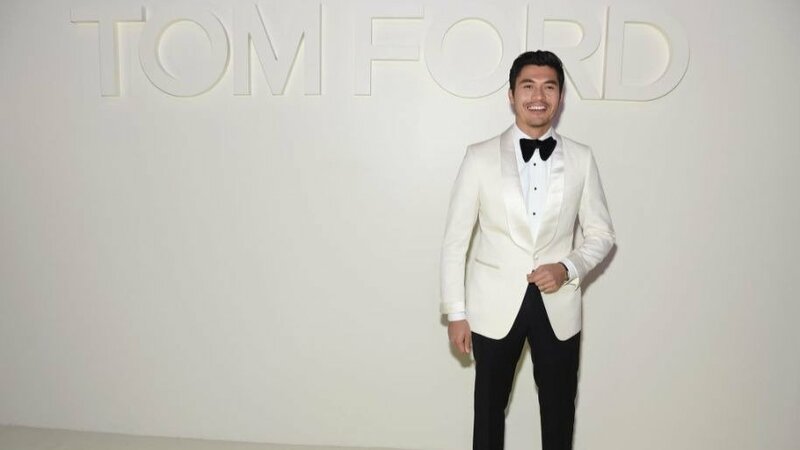 Actor Henry Golding knows how to spot a trend before it really pops. 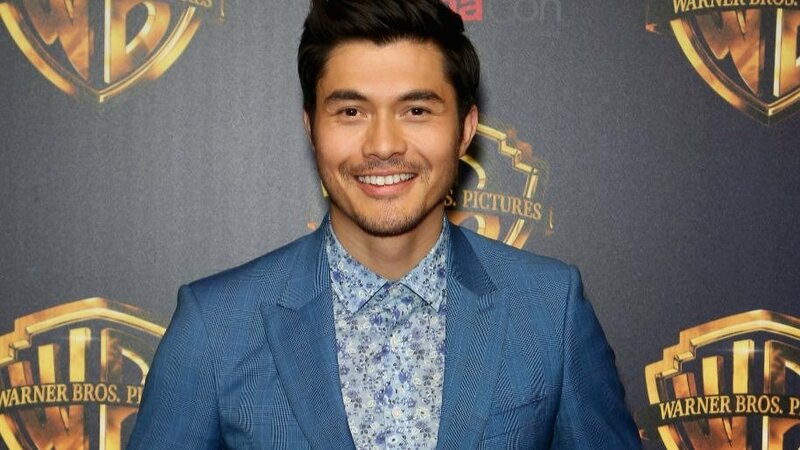 The Crazy Rich Asians star has impressed the world with his boyish charm and effortless sense of style. He’s a man to keep an eye on because he’s about to be one of the biggest stars in the world. Not only is he in one of the most popular films of the summer (CRA has grossed more than $164.3 million worldwide since opening day), he’s a successful model and TV host. The time Golding spent in the world of fashion clearly prepped him for the heights of fame. Likewise, he’s consistently dressed to impress on the CRA press tour, making him one of the most fashion forward male stars of 2018. Golding turned heads at New York Fashion Week when he arrived at Tom Ford‘s runway show wearing, of course, a classic Tom Ford tuxedo. This Carey Grant look is perfect for up and coming holiday parties. A more affordable way to achieve this is with the Azar Two Tone Satin Collar Dinner Jacket. The slim cut will achieve the long, lean lines the Tom Ford tux pulls off. Pair this jacket with the Ferrecci Slim Fit Striped Black Tuxedo Dress Pants, which are a steal at under $30 bucks! The Zeroyaa White Tuxedo Dress Shirt and Platinum Hangar Bow Tie are affordable options to polish everything off. The British-Malaysian actor highlights his personality with his playful sense of style. Some of his best outfits include really bold choices like pairing jeweled print suits with brightly printed dress shirts, and a ruby colored velvet suit. Both ensembles are easy to achieve with a couple of key purchases. Fumud’s Jewel Toned Three Piece Suit comes in a variety of colors including a sapphire shade of navy that matches wonderfully with YTD’s Slim Fit Dress Shirt in blue with white polka dots. The look is at once formal but easy going, affording the wearer a relaxed sense of sophistication. Likewise, Carffiv’s Velvet Blazer in Red Wine is a perfect dupe for Golding’s Ruby Red Velvet suit jacket. At less than $66, it’s a fraction of the price too. Wear this with a pair of black dress pants like the Ferrecci Slim Fit Striped Black Tuxedo Pants and a simple white dress shirt to nail a look that’s simultaneously chic and flirty. If bold, over-the-top looks give you anxiety, stick to something easy and classic. You don’t have to mimic a look entirely to try it out. Sometimes, a simple suit and muted dress shirt can really pop with a brightly colored tie and pocket square. Do what makes you feel good. Wear clothes that make you feel confident. And most importantly, be yourself. Nothing makes a man shine like the confidence of knowing who he is. 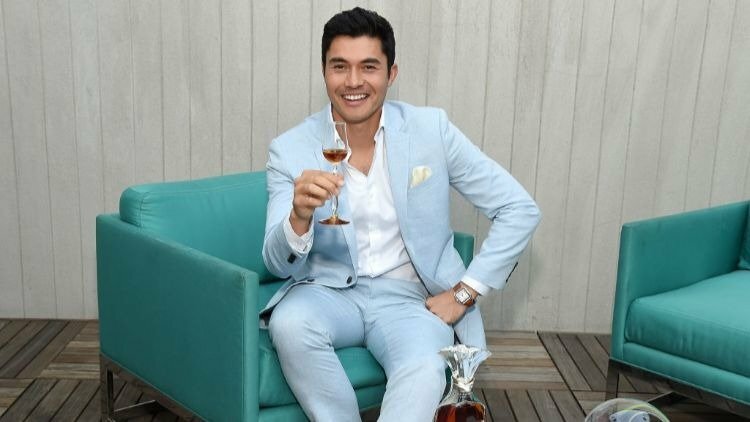 Just ask Henry Golding. 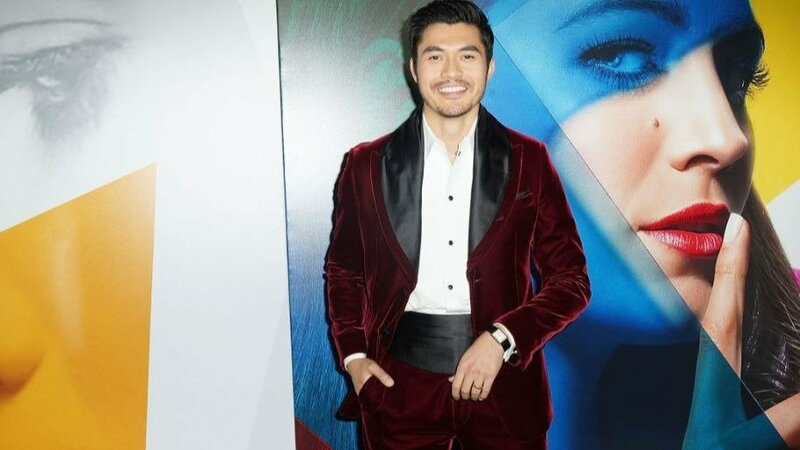 Are these Henry Golding inspired outfits something be willing to attempt? Sound off in the comments!